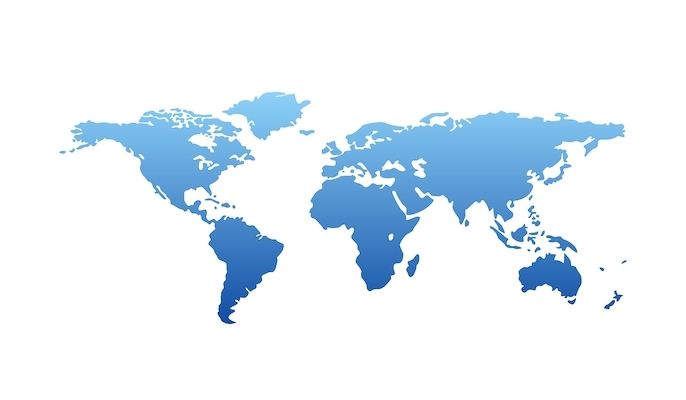 This week’s post is written by Andy Chamberlain, director of Musicademy. 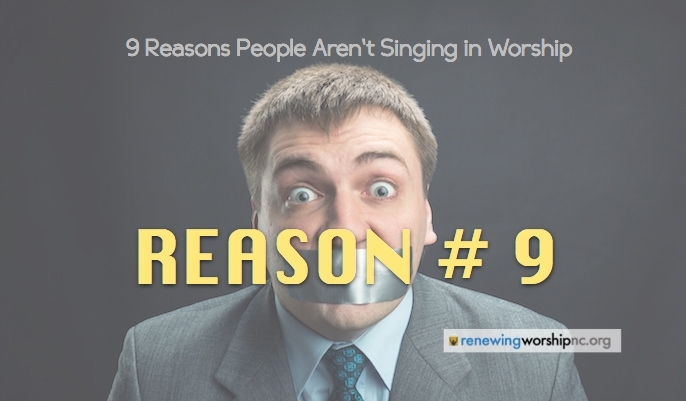 This is a great piece to accompany my post, Nine Reasons People Aren’t Singing in Worship. 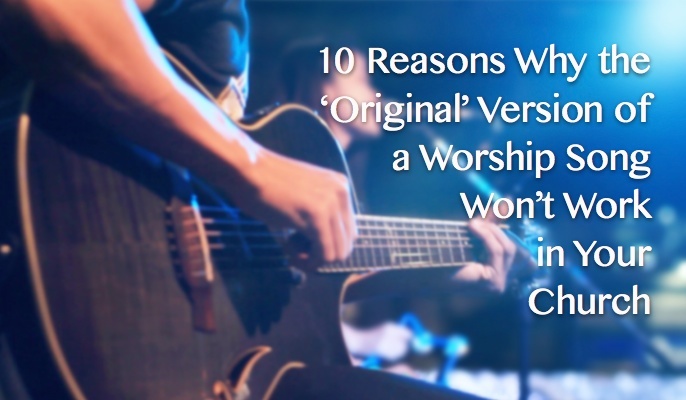 Let’s start with the single biggest reason why your congregation won’t be able to sing an ‘original’ version. 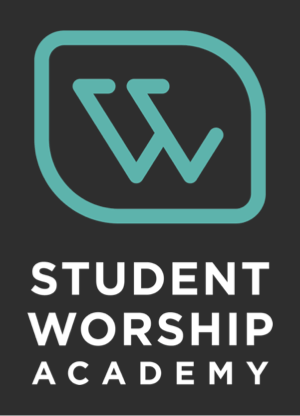 Album and even definitive live versions of worship songs are arranged in keys that suit the lead singer’s or the artist’s voice, NOT the congregation’s range. Albums have to be great to listen to and the vocal has to be the strongest it can be, therefore from a listening perspective it has to be in the artist’s strongest key, which 9 times out of 10 isn’t the most suitable key for a congregation because the key needs to be a compromise between stereotypical male and female vocal ranges. Broadly speaking, songs with male vocals are often 2-3 semi tones too high and songs with female vocals are (less) often 2 semi tones too low. Octave jumps are great tools to make songs dynamically exciting. 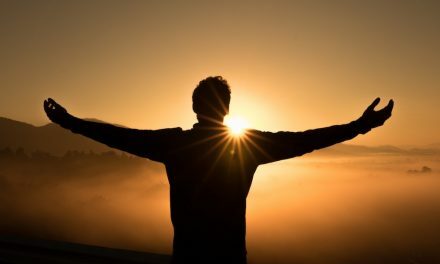 They work great for radio where you need a big lift to keep the listener interested, BUT, whenever a song has an octave leap you alienate one or other gender in your congregation and 50% of them will either stop singing or sound like they’ve inhaled a helium balloon. So, if you genuinely want to encourage participation, don’t do octave leaps. That will probably mean moving the key down a minor or major third, but if you want more participation make it more singable for more people, more of the time. 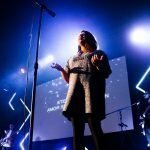 There are lots of worship songs with 8, 16 or even 32 bar intros that build a sense of dynamic anticipation. 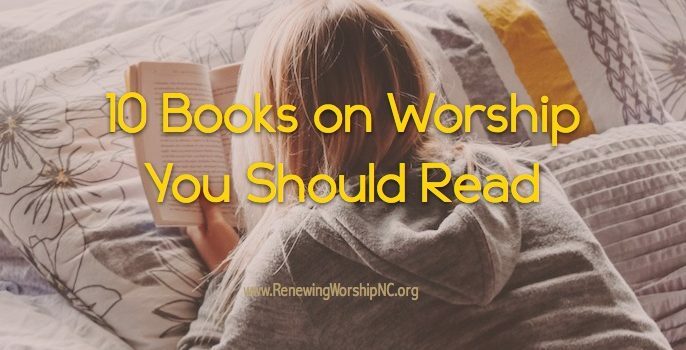 These can work at huge conferences and worship concerts but let’s remember the entire point of congregational worship is maximum congregational involvement. If they have to wait around while the band enjoys a long intro they will disengage. Then the intro really becomes much more about the band’s enjoyment rather than the congregation’s participation. Try to make intros as succinct as possible just to establish the tempo, groove and where to come in. So most of the time 2 or 4 bars is plenty. If you look at the most popular live versions of worship songs on YouTube, many can be 8-12 minutes long with a soft dynamic chorus in the middle, three or four bridge section repeats that slowly build towards a few massive chorus repeats to finish. While this works for large gatherings, its just gets dull and over repetitive for the average sized congregations where there isn’t that musical dynamic and volume level to keep the song involving. Again your congregation will switch off just as much as they did in the long intros. So please don’t assume that just because a version is well known, that makes it suitable for your church. The other day at church someone led Matt Redman’s Sing and Shout on keyboard. Thing is, there was no acoustic guitar to drive the rhythm along and it lost all of it’s punch and energy. 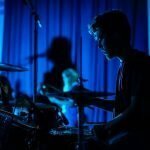 So do think hard about whether your rhythm section has the capability of pulling off songs with strong syncopated rhythms, and choose your songs accordingly. 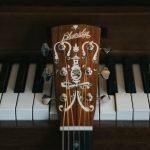 We often talk about the wrong key for the congregation but if we change the key it can radically alter the instrument’s voicing’s, particularly the guitars. So if you put songs into unfriendly guitar keys they may not have the voicing’s available to make the parts sound credible. For instance I was recently playing for a female worship leader who wanted to take the key up a 4th. This made the guitar lead line either squeakily high or too low to work well. While we are on guitars, many studio recordings will have three, four, even five electric guitars buried in the mix to add fatness. Please be realistic! If you only have one electric guitarist and you want them to recreate an album part you may well be asking them to do more than is humanly possible for one musician! Have you ever been at a party where people don’t dance because the volume is too low to make the music involving? It’s the same with church. Yes of course there are many times when music can be too loud for the congregation, but conversely, fast anthemic songs need enough volume to make them involving. Your sound tech person can really help or hinder here. 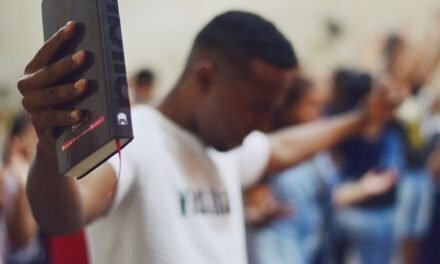 They need to have the type of musical ear that understands when to push the overall volume of the mix to match the volume and engagement of the congregation’s singing, which often rise and fall at different moments in the worship time. If your sound tech has a ‘set and forget’ type of attitude to mixing, or if your church has serous volume restrictions something like ‘Gods Great Dance Floor’ will never ever work so be realistic about your song choices. Similarly some songs only work with BIG energy. This isn’t just volume, it’s your band member’s ability to attack the sound with enough aggression and intensity. If your worship team plays everything with laid-back feel and without strong confidence, some songs will just sound lacklustre no matter how much volume you use. 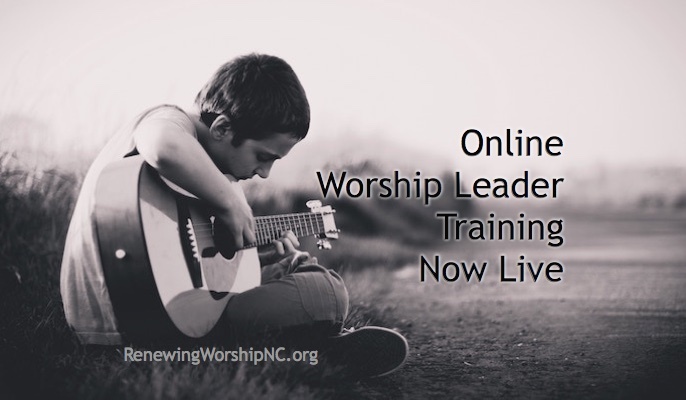 So again choose songs that your worship team can play well with confidence and conviction. Lastly; there are a few recent and very popular songs that are bolstered by long or repetitive instrumental or link sections. 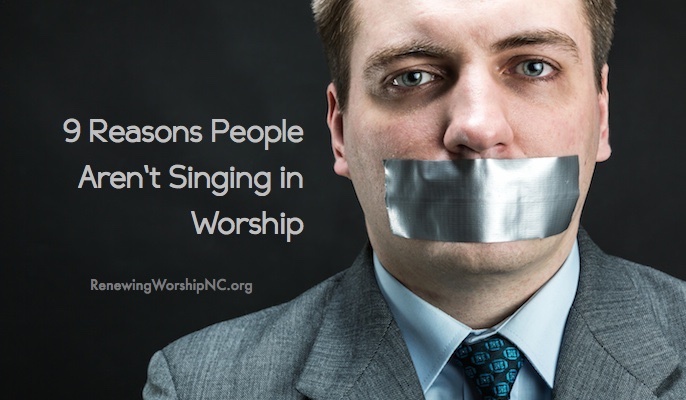 Again this can pull large gatherings along but for most churches, any time the congregation stops singing they stop participating. 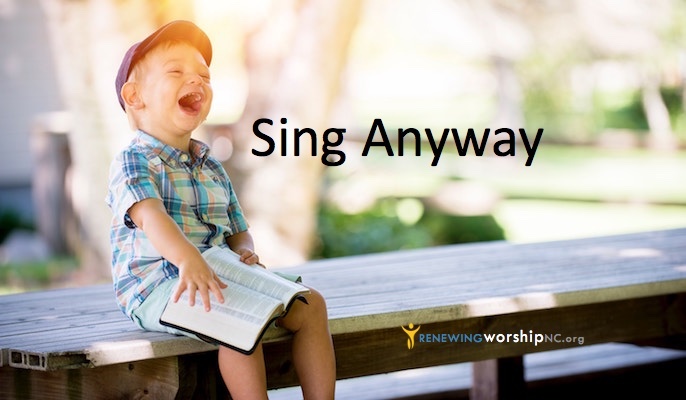 So in all our song choices, we must think not only about what realistically works, but more importantly, which songs makes congregational involvement the priority and not the afterthought. 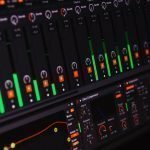 When we create our backing tracks we face the dilemma of people (thinking that they) want the song as close to the original recording as possible. 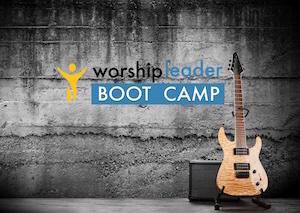 But we have found that creating a track that is actually singable in church and also practical as a backing track. 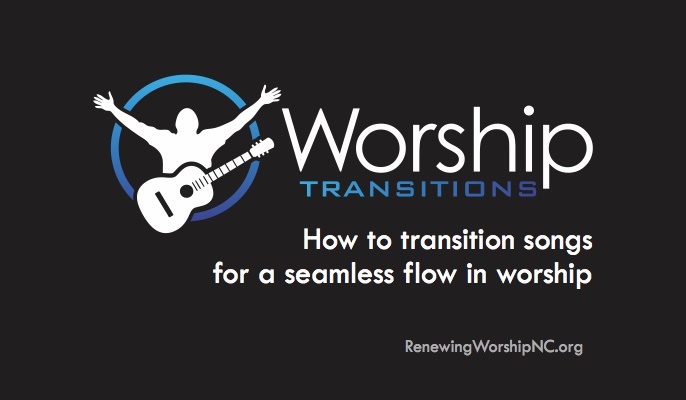 One of the things that distinguishes Worship Backing Band recordings from other multi tracks on the market is the changes we make to original recordings, often made with radio play in mind, to make it congregational – a singable key, appropriate introductions, shorter endings and minimal ad libs and instrumentals – you can then use the Player to repeat and loop song sections should you want to make the arrangement your own. 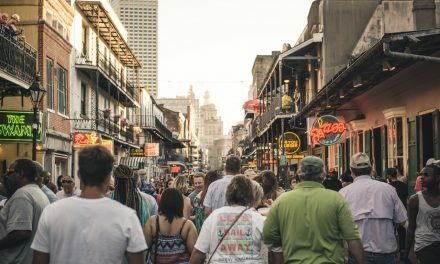 This post was originally published on Musicademy.com’s blog. I am thankful for our partnership with Musicademy and for their permission to reprint this post. These are great thoughts. Some are a little too extreme (for example, SOME octave-jumping songs are doable), but in general I think you are right on, and you sound like you are speaking from much experience! -you don’t have the right instruments. Some of the newer Hillsong Young and Free stuff needs some serious keyboard patches. 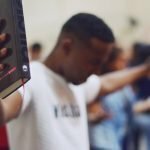 Most churches that I know don’t have the software, hardware, or players that can recreate those sounds. I’m sure if I thought for a while, I could come up with more. I’d love to hear what others are saying!